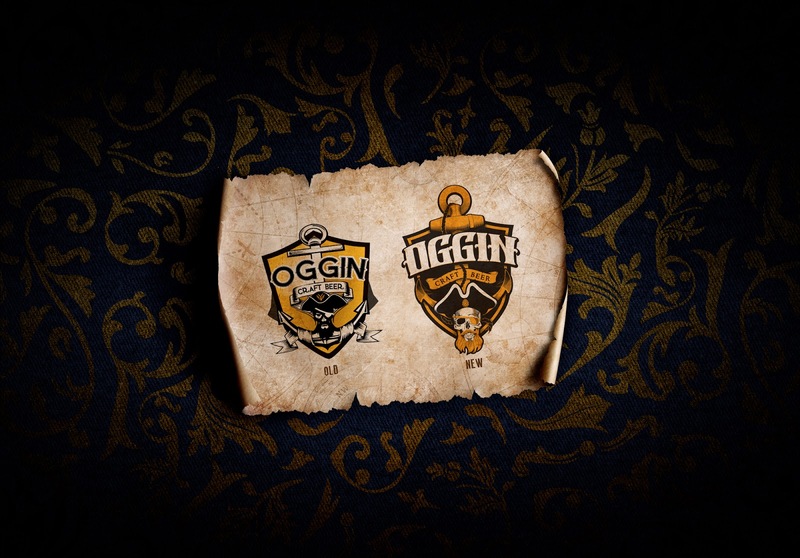 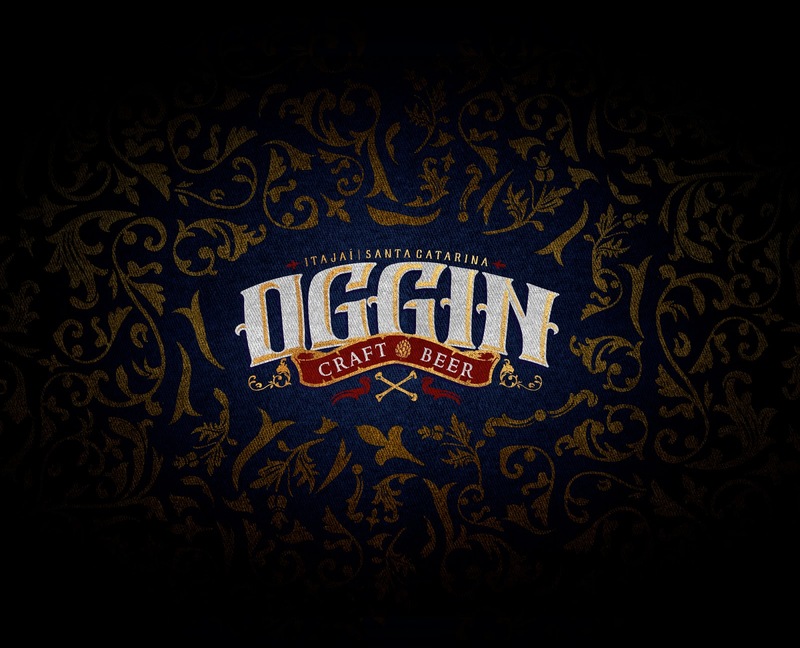 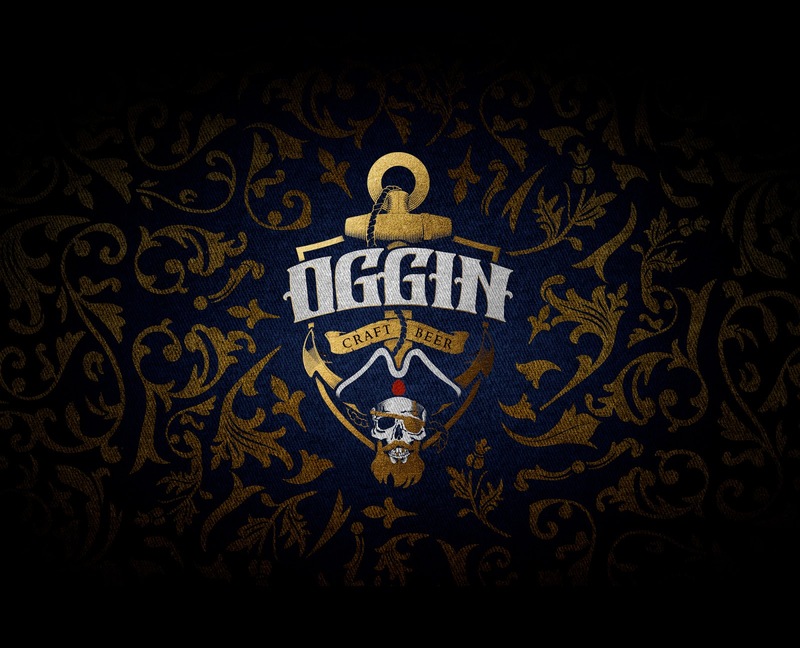 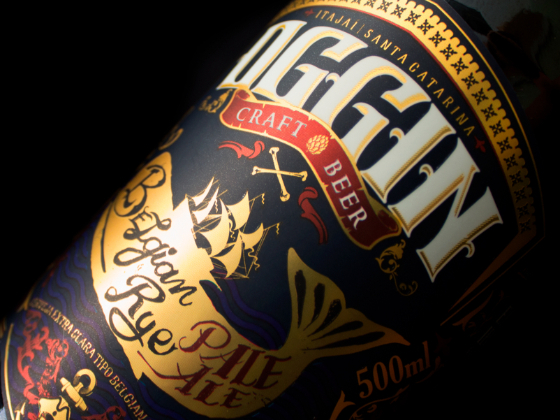 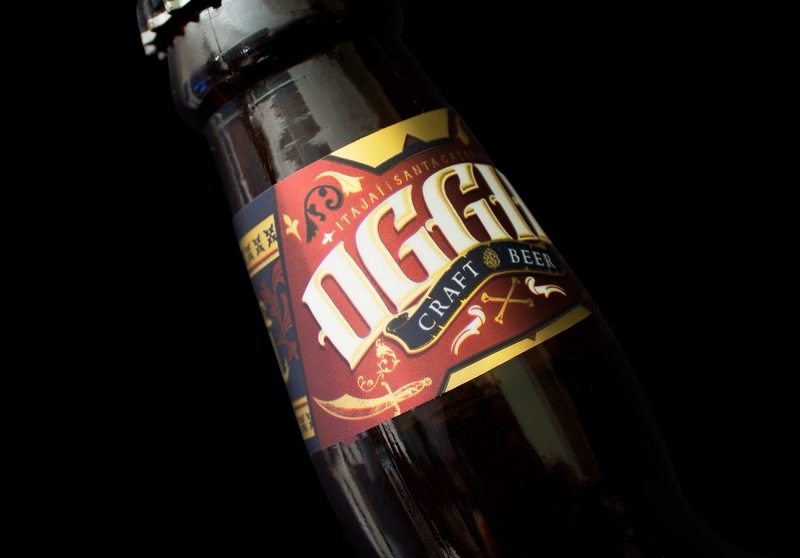 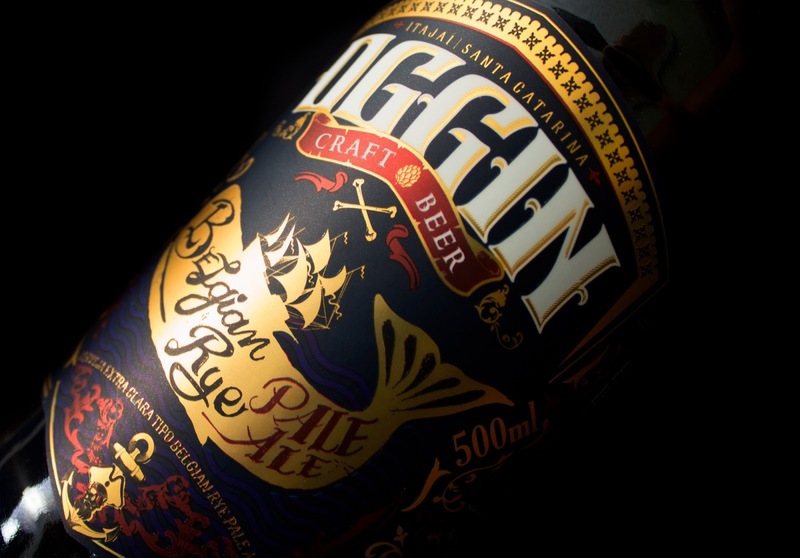 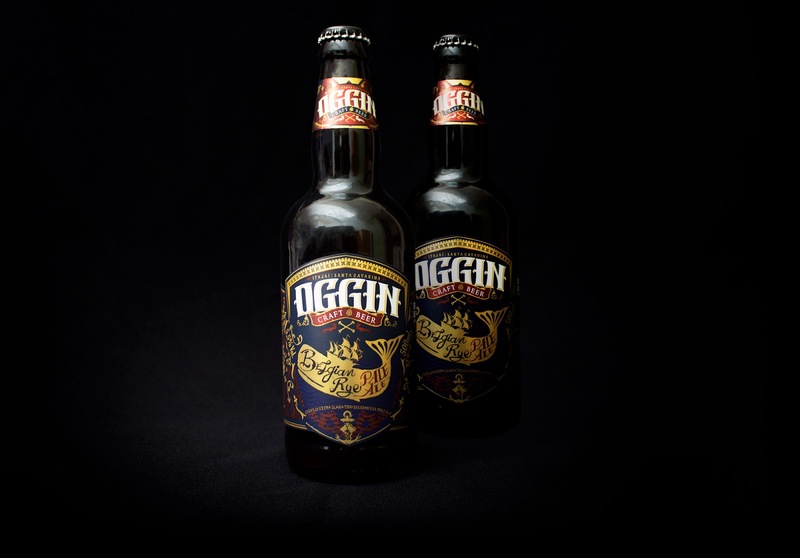 Oggin Craft Beer is a brewery located in the city of Itajaí, State of Santa Catarina. 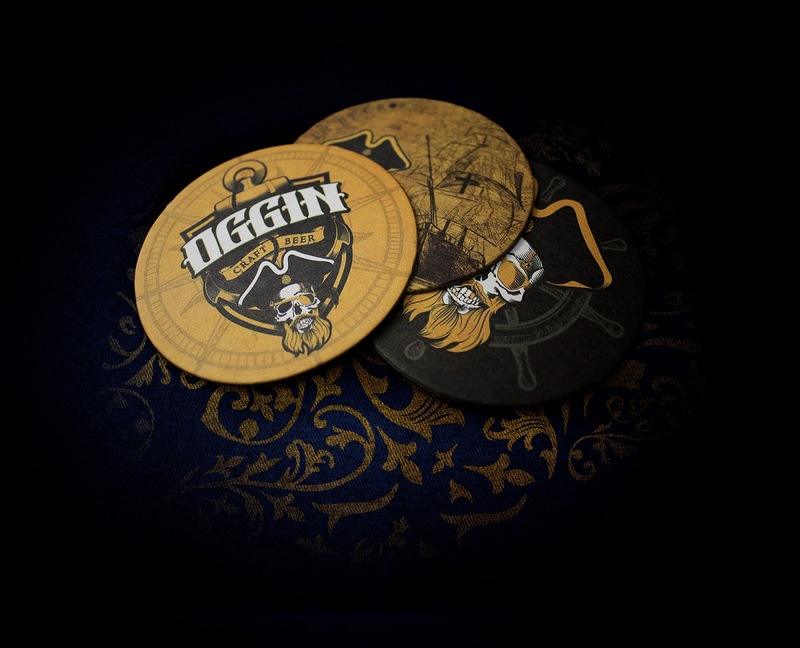 Its pirate theme has always been the great appeal for the design and communication demands of the brand. 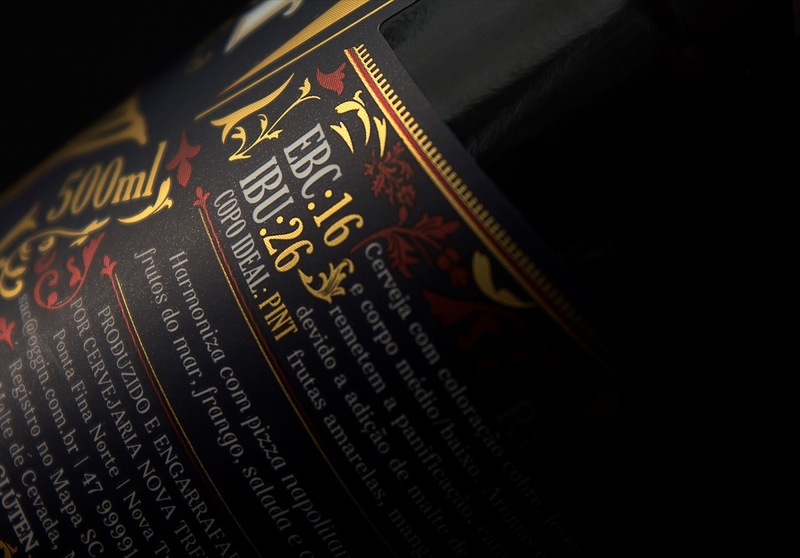 When the company came to Brandholic, there was a need to upgrade its brand, visual language and produce a label to start in the bottle trade. 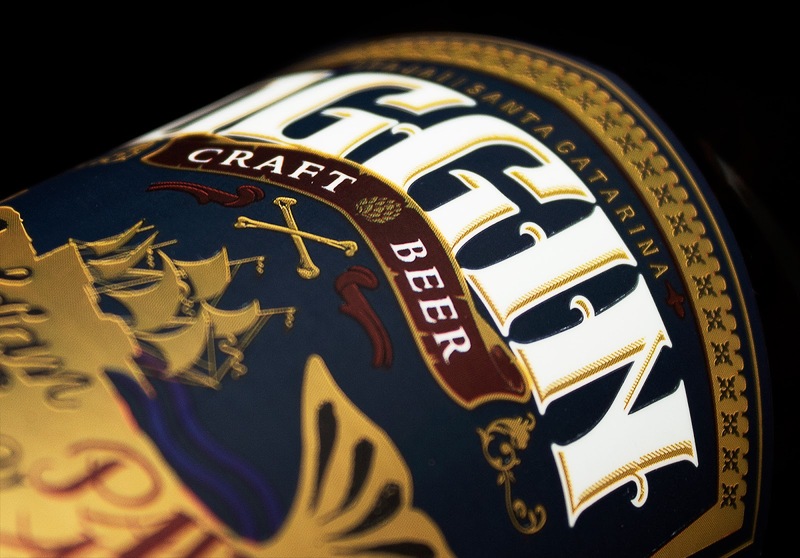 Until then the company only worked with the production of chopp. 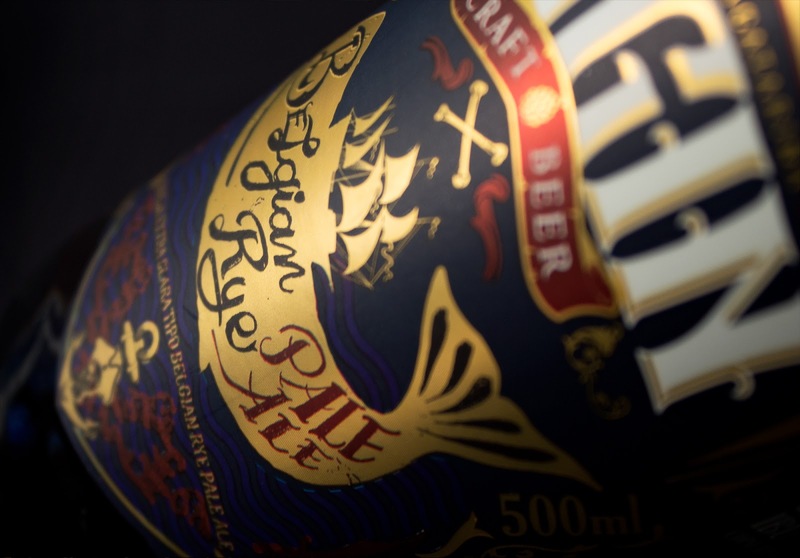 The pirate language and other maritime themes have always been a well-explored universe in beverage label design, but we have tried to extract something more sophisticated from this way. 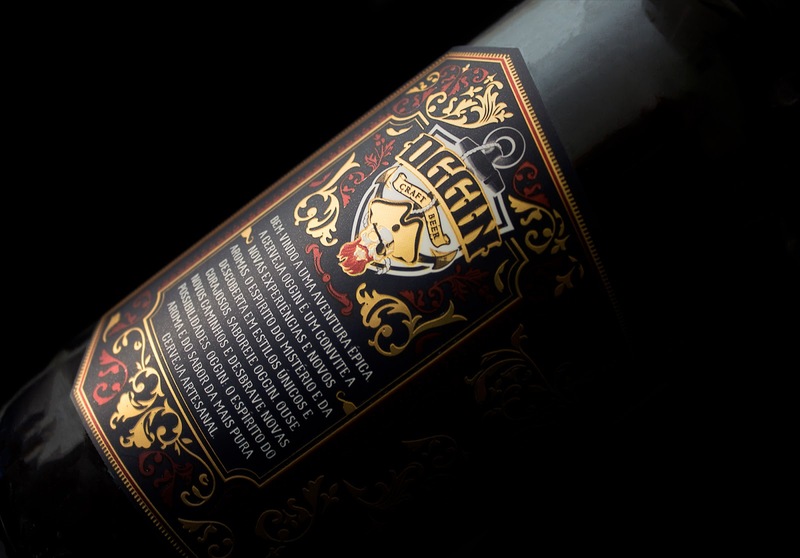 The brand has been restyled, its symbol modernized and enriched with details and a new typography developed in order to make both the type and the appearance of the brand as a whole more personalized. 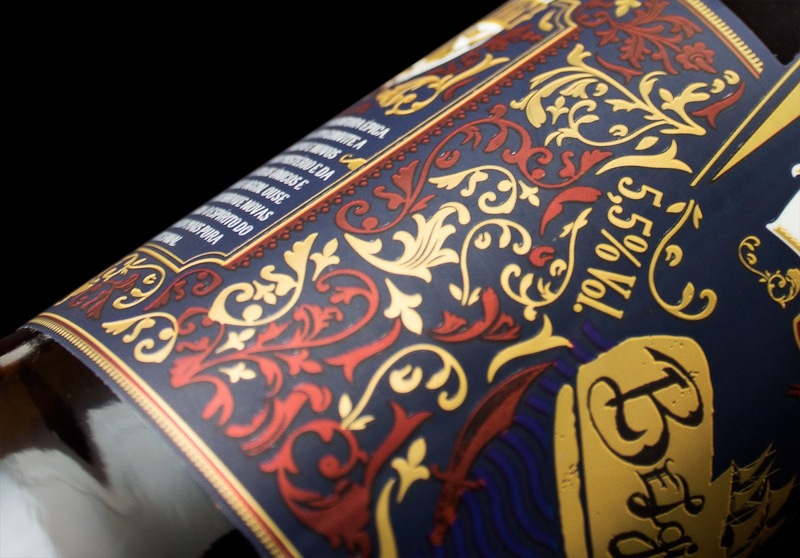 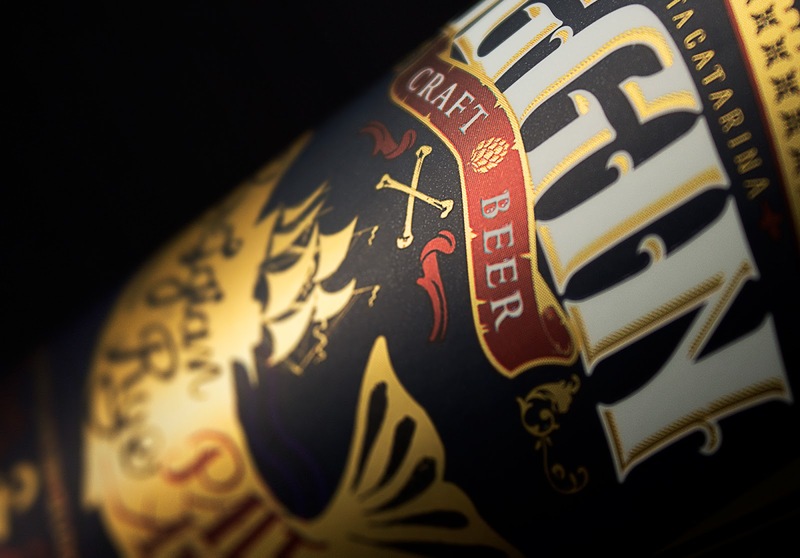 For the label, the metallic details were essential to integrate the packaging into the pirate climate, since gold refers very well to the pirate treasures, and its very characteristic tone along with the Victorian ornaments gave the packaging the final touch to compose a pretty label attractive and beautiful.